As a homeowner, it’s only expected that you wish to create a comfortable environment within your own residence. More than that, you desire a home that is feasible, practical to live in, and in line with your type of lifestyle. Every aspect and feature can contribute to the overall appeal of your accommodations which is why it is important for you to take each and every factor into account. For many, an important element to consider is the facilities within the homes’ bathrooms. More specifically, the facilities for washing up, and whether or not a shower or a bathtub should be installed within the bathroom. Of course, both fixtures carry their own list of benefits, but for many of us who lack the space in our homes or even the money, only one can be chosen. In order to make your choice of selecting one easier, here is a comparison between both. For most cases, the shower wins in this comparison. It’s true. Showers are generally easier – and quicker – to use. For a shower, all you have to do is step inside the cabinet, turn a few knobs, spend a few minutes dousing yourself in water, and then you’re done. Of course for a bathtub, it’s a slightly longer procedure. You have to turn on the tap and wait for the tub to fill up with water. 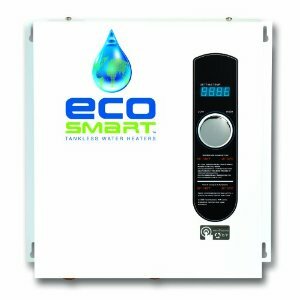 This can take anywhere from 5 to 15 minutes depending on the water pressure and size of your bathtub. In the time you wait for a bathtub to fill up, you can be over and done with a shower. An additional issue for bathtubs is hot water. If you wish to bathe in hot water, you’ll need to buy a water heater suitable for your bathtub. The handicapped and the elderly also find it easier to use showers. It is typically more difficult for them to sit down in a tub and then climb out of it than it is to enter and exit a shower cabinet. Of course, some may find it hard to stand up for a shower, but it is easier to install support systems inside a cabinet than within a bathtub. This one has to go to the bathtub. There are few scenarios that we can imagine that are more relaxing than settling down into a lukewarm bath, spreading our body across the cushion of water, and allowing ourselves to fall into a deep state of tranquility. It’s peaceful to just think of, and after a long, stressful day at work or at school, many of us are itching for just that. As for showers, well, the simple fact is that standing up for a duration of time isn’t everyone’s ideal situation for relaxation. However, we can’t completely disregard showers in this case. Installing a good shower head can enhance the experience to quite an extent. In one circumstance, showers and bathtubs can do an equally efficient job of comforting us. That is, to comfort us when we are feeling lonely. Yes, it’s true. Studies show that when someone is feeling lonely and depraved of human affection, a warm bathtub or shower can provide temporary comfort. The very type of shower or bathtub you buy will determine the overall cost. The material used, the features included, and the very act of installation can cause the price to vary drastically. Installing a simple shower faucet into the wall of your bathroom tends to be less expensive than a bathtub. However, the cost of the shower can increase immensely when you take into consideration all the other aspects. There’s the glass doors for the cabinet, the rails for fitting, the tiles that may need to be stripped away before installing the cabinet and then be re-added afterwards, and of course all the custom features you may desire such as rain showerheads and multi-functional jets. In this case, a freestanding bathtub with completed sides will indeed be less costly. That’s not to say that bathtubs cannot be expensive. 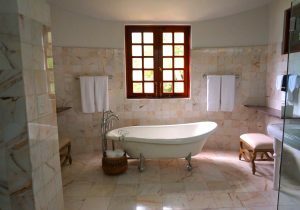 Some homeowners choose to add features to their bathtubs such as air jets that can be quite costly. It’s also important to note that the cost of water for a bathtub typically exceeds that of a shower. Overall, showers use less water, a point which can serve to be quite convenient when attempting to reduce your water bills. In all honesty, showers can sometimes be a hassle to clean and maintain. 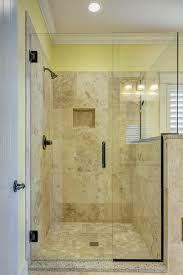 Anyone who owns a glass shower cabinet will know of the burden that it is to clean them. They must be regularly and thoroughly scrubbed in order to prevent the accumulation of lime and calcium stains. The best way to do this is to use white vinegar which carries a smell that not everyone finds pleasant. If you own shower curtains, then you suffer the risk of experiencing the buildup of mildew. Then, of course, is the issue of water spots forming all over your shower faucet and glass doors. A leaking shower is not fun, either. Often at times, the solution to a leak is glue. However, after sealing everything closed with glue, you have to wait for it to dry, which means that you will find yourself unable to use your shower for quite some time. Therefore always get the best shower panels. It’s pretty much a tie, with showers just slightly inching ahead. Especially in the case of skincare as it has been observed that spending too much time in a bathtub can promote dry skin. On the other hand, a cool shower can act as an ideal method for moisturising skin and can boost your immune system. That’s not all. Hot showers can be a great way to open sinuses and provide relief to body aches and sore muscles. Bathtubs, however, don’t fall short on their list of medical benefits. A warm bath is the perfect way to treat sore muscles. Adding certain remedies into the water you bathe in can also promote health benefits. Green tea carries an anti-aging property for your skin and can help restore balance, while Epsom salt prevents inflammation and reduces pain. There really is no absolute conclusion to the argument that is showers versus bathtubs. Both carry their own list of pros and cons, and whichever one you plan on buying depends on your own personal preference.